Fire Note Says: Epitomizing the band behind it, Wonderful Wonderful is grandiose, towering and bound to polarize. Album Review: In a lot of ways, The Killers are the Hillary Clinton of radio rock. Just…hear me out on this. Both have enjoyed wild swings in relevance and popularity during their time in the public eye. Both have been roasted by critics for their serious authenticity issues. Both are currently experiencing public crises of meaning and purpose. Both are in the middle of half-explanatory, half-promotional marketing tours in support of their new releases. But more than anything, both are immensely polarizing, which brings us to the The Killers nothing-if-not-audacious new record, the optimistically-titled Wonderful Wonderful. It’s a solid, but alienating work that ought to secure for The Killers a future brighter than the one Mrs. Clinton’s campaign secured for her. I’m not sure that it will, though. At first listen, Wonderful Wonderful is a big, bustling zoo of wild sounds. From the whiny trumpet that introduces the titular opening track to the final notes of the earnest “Have All The Songs Been Written?” the record bulldozes listeners with massive production, lush arrangements and endless experimentation. While listeners will quickly encounter some bonafide pop rock thrills–the explosive sing-along chorus in “Run for Cover;” Ronnie Vannucci’s signature charging drums in “Tyson vs. Douglas;” the cinematic intrigue and dread of “The Calling”–they should be forgiven for emerging from their first listen exhausted and overwhelmed by the bombast and grandiosity of the production. But on Wonderful Wonderful, that’s a feature, not a bug, as The Killers’ relationship with production has been something of a J curve over the course of their career. The production on Hot Fuss was modest and mild, and the band flirted with a somewhat grittier, less refined sound on sophomore effort Sam’s Town. But since those early releases, The Killers’ sound has grown exponentially more prominent and polished with each record. For better or worse, this trend continues on Wonderful Wonderful, which reaches unmatched heights of towering slickness. It glistens to the point of nearly exploding. After fumbling through such a sonic zoo, some listeners will likely cast aside their headphones and walk away from the Wonderful Wonderful. That’s not necessarily a bad thing; it isn’t for everyone, and it’s pretty much guaranteed not to win The Killers a single new fan. If listeners come to the record hoping to discover “Mr. Brightside” 2.0, they’re bound to come up empty. Because while The Killers sometimes take missteps, they’ve yet to step backward. In the decade-plus since they released Hot Fuss, The Killers have put out three LPs, an extensive b-sides collection, a greatest hits compilation and a Christmas record. If anyone is still praying for The Killers to revisit the spirit of “Mr. Brightside,” their displeasure with Wonderful Wonderful will be entirely of their own making, and the rewards of Wonderful Wonderful will be left only to those fans who’ve digested that truth. And for those fans, a treasure trove of glitzy, experimental new wave synth rock awaits. “Run for Cover” features the maximum amount of The Killers’ signature flourishes that can possibly packed into a single song. There’s a fat, cruising baseline from Mark Stoermer, Ronnie Vannucci’s spastic, explosive drum fills, a simple but instantly-memorable lead guitar lick from Dave Keunning and Brandon Flowers beyond-reproach, swinging-for-the-fences vocals. Everything fans have come to know and love about this band is front and center in this track; it’s sure be an up-tempo crowdpleaser in live sets. Similarly, “Tyson vs. Douglas” is a windows-down, hard-charging thriller with a searing guitar solo, ornamented in warm synths and made especially memorable by a very classically Brandon Flowers metaphor. It’s cut from the same pop rock cloth as “Run for Cover,” and finds The Killers doing exactly what they do best. Other standout tracks include the anthemic, mid-tempo “Rut” and lead single “The Man,” a delirious and joyously disco-tinged Bowie-meets-Arcade-Fire funk rock strutter. These homerun tracks find The Killers embracing wild experimentation with tempo, tone and arrangement, and having a more fun on each new track than they did throughout the entirety of 2012’s top heavy Battle Born. In the five year journey from that record to Wonderful Wonderful, The Killers progressed from whispering vapid, careless lyrics like, “I saw you in a restaurant the other day / but instead of walking toward you, I ran away” into a band with enough eclectic confidence to sample Kool and the Gang and Brian Eno. That’s got to be some kind of record. After a number of listens, it becomes clear that The Killers are taking themselves less seriously than critics so frequently insist they are. If the cover art for 2006’s Sam’s Town–a black and white picture of a ragged, bikini-clad beauty queen leaning against a trailer, presumably somewhere in the Nevada desert–was the perfect visual representation of that record (it was), than the artwork that accompanied “The Man’s” release–a similar black and white, Nevada desert photo, only with the trailer and sad-eyed lady replaced by a little boy dressed in a grown man’s clothes–is the perfect visual representation of Wonderful Wonderful. 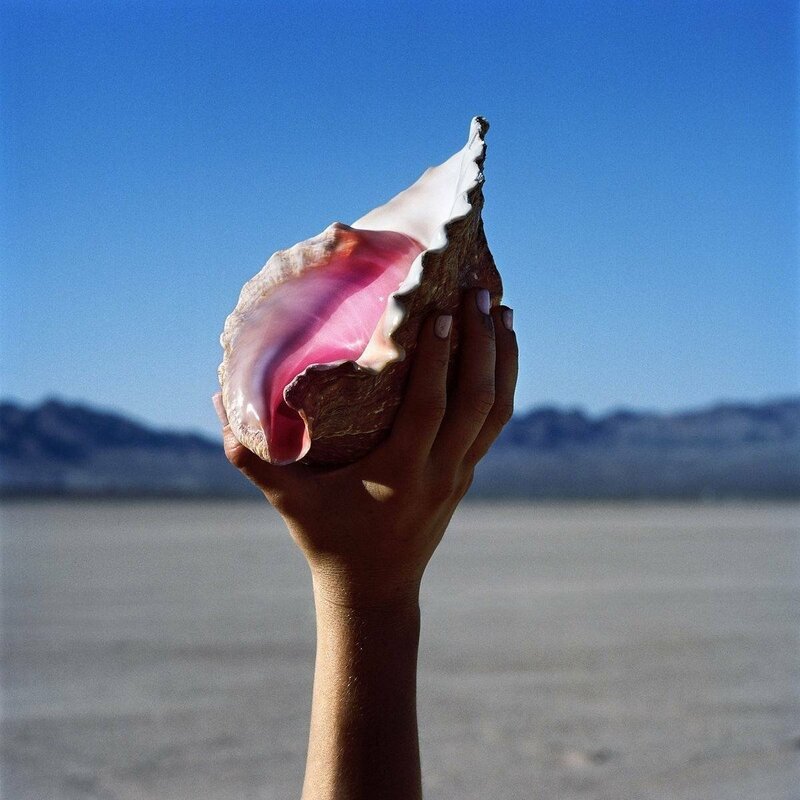 And if that’s not enough silliness for you, the completely nonsensical promotional artwork for Wonderful Wonderful itself–a picture of someone’s hand hoisting a big, pink conch shell heavenward–ought to do the trick. The question isn’t whether or not The Killers are aware of their (d)evolution into glammy schlock rock. They clearly are; they’re the willing engineers of their glitzy metamorphosis. The question is whether or not that metamorphosis has gone on far longer than they intended. And on that question, the Vegas rockers deserve greater sympathy and goodwill than critics have been willing to give them. 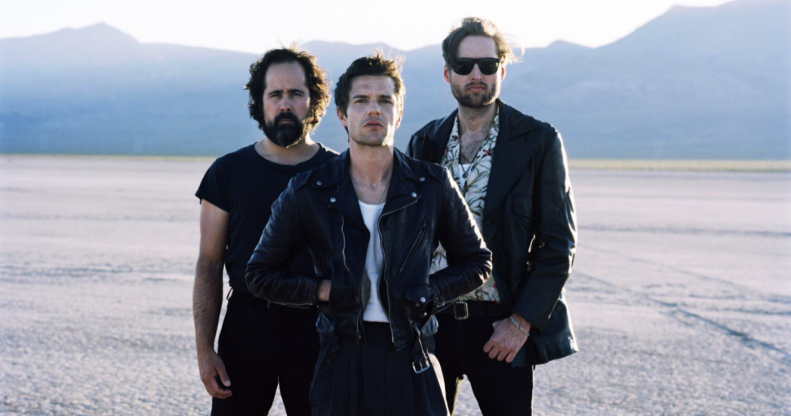 Contrary to the critical consensus, it’s apparent that The Killers gave up the dream of becoming one of the Very Important Bands™ sometime after Sam’s Town got shredded by critics as a little more than an empty-headed Joshua Tree. The Killers followed that record with Day and Age, a silly, inoffensive and sugary-sweet synth pop album whose wacky arrangements made it eminently clear that The Killers were more interested in experimenting and just straight up being weird than joining the pantheon of holy heartland rock bands. The critics who still accuse The Killers of chasing the brass ring of philosophical and literary seriousness have been singing the same tired song for a decade now, and they’re either not playing close enough attention or simply delighting in their own snideness. That’s not to argue that The Killers don’t want to be one the biggest bands on earth. The size, scope and wildness of Wonderful Wonderful reinforce the idea that they do, and by most measures they already are. Wonderful Wonderful will neither cause them to slip from that perch, nor will it propel them to greater heights. It’s an odd record, but every record by The Killers is odd. It’s experimental, but every record by The Killers is experimental. It’s daring to a fault, but…well you get it. Or maybe you don’t, and that’s okay. Really, it’s not for everybody. Dylan Gallimore is a writer from New Jersey, now living in Philadelphia, whose fiction and nonfiction have been published online and in journals across the country. Like every other Millennial, he's got dozens of The Killers' lyrics tattooed across his brain, and he's A-OK with it.